16 oz. 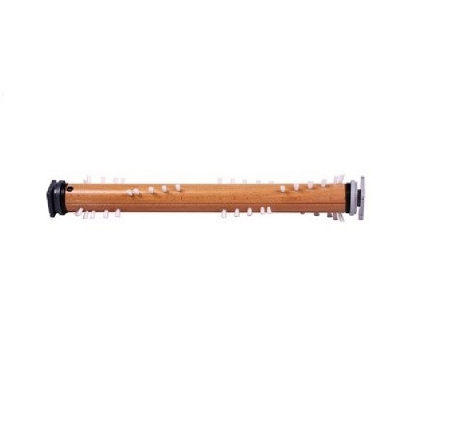 ready-to-use (RTU) soaker. 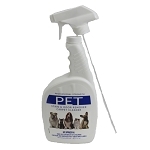 Eliminates animal odors in carpets, upholstery and other porous surfaces from urine, tomcat spray, feces, emesis and more. Works where other products haven't and won't. 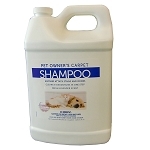 Contains no enzymes so may be used without loss of efficacy with or after detergents (carpet shampoo) and germicides. Soaker penetrates to the source of the odor. Sprays and powders only treat surface problems. 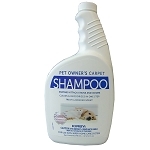 In carpeting, upholstery, concrete, and other porous materials, use CAT ODOR-OFF directly from the bottle. Pull up on the applicator cap, point the bottle at the problem area and squeeze. Thoroughly soak the area, let dry. 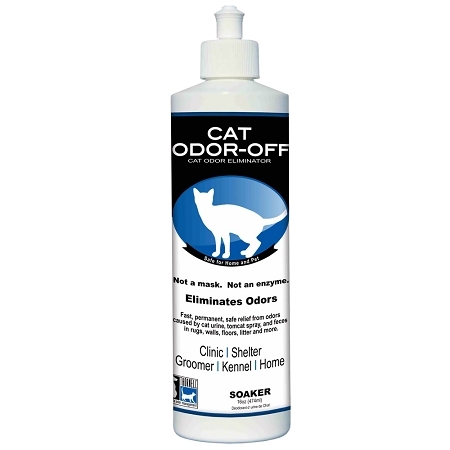 Cat Odor-Off must penetrate as deeply as the problem odor. If any odor remains, Cat Odor-Off has not reached the source. Cat Odor-Off may be used directly from the bottle as above or put into a spray bottle and sprayed on the areas affected. Very effective when applied to the surface of litter boxes or tomcat spray. Rub area thoroughly with Cat Odor-Off soaked sponge or cloth. Blot with a clean cloth. Let dry and vacuum. Although Cat Odor-Off is a quality stain remover, not all stains can be removed by a single agent.